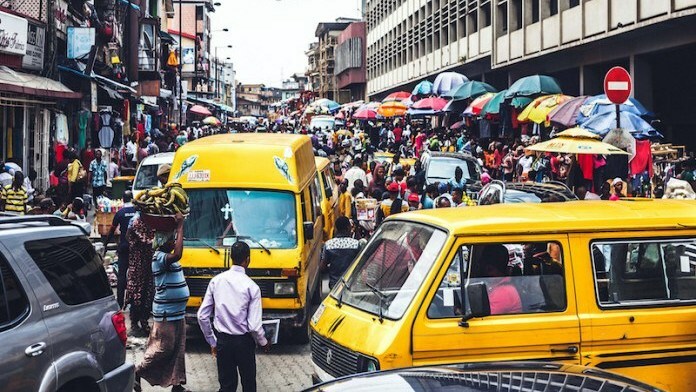 One of the leading financial consulting firms in Nigeria, FSDH, has predicted a drop in the nation’s inflation rate for the month of January. In its Inflation Watch report released on Thursday, February 1, 2018, the company said inflation will drop to 15.04 percent from 15.37 percent recorded in December 2017. “FSDH Research expects the inflation rate (year-on-year) to drop to 15.04 percent in January 2018 from 15.37 percent recorded in the month of December 2017,” the report said. The National Bureau of Statistics (NBS), according to its calendar, will release the inflation rate for the month of January 2018 on February 14, 2018. According to FSDH, the expected decline in the inflation rate is as a result of a slower growth in the year on year Food Index in January 2018 than what was recorded in December 2017. It said the January 2018 monthly Food Price Index (FPI) from the Food and Agriculture Organization (FAO) shows that the Index averaged 169.5 points. The Index was largely unchanged from the December 2017 figure. The FPI was down by 0.18 percent, from the revised December 2017 figure but almost 3 percent below the corresponding period last year. The movement in the food prices were in varying directions in January 2018. The cereal and vegetable oil prices appreciated while sugar and dairy prices depreciated. The FAO Dairy Price Index depreciated by 2.44 percent in January. The prices of dairy products such as cheese and butter depreciated significantly during the period. The FAO Sugar Price Index dropped by 1.49 percent on the heels of favourable supply conditions in the main sugar producing regions in Brazil and increased exports availabilities. The FAO Meat Index was marginally down by 0.60 percent on the backdrop of weak global import demand for poultry and pig meat. On the flip side, the FAO Cereal Price Index gained 2.31 percent from the previous month. Wheat, maize and rice prices firmed up and were primarily responsible for the uptick in the value of the Index. The FAO Vegetable Oil Price Index was up marginally by 0.33 percent, driven by the rise in palm oil prices which outweighed weakening prices for other oils. “Our analysis indicates that the value of the Naira appreciated in the inter-bank market while it depreciated in the parallel market. The Naira gained 30kobo to close at N305.70/ $ in the interbank market while it lost N1 to close at N364.50/ $ in the parallel market. “FSDH Research expects the drop in the international prices of food to counter the effect of the depreciation in the Naira in the parallel market. “Hence, there should be a moderation in the pass-through effect of imported goods on local prices. The prices of most of the food items we monitored in January 2018 moved in varying directions, leading to 0.79 percent increase in our Food and Non-Alcoholic Index. The Food and Non-Alcoholic Index increased by 18.78 percent from 220.41 points in January 2017. “We also noticed increase in the prices of Transport and Housing, Water, Electricity, Gas & Other Fuels divisions between December 2017 and January 2018. “We estimate that the increase in the Composite Consumer Price Index (CCPI) in January 2018 would produce an inflation rate of 15.04 percent lower than the 15.37 percent recorded in December 2017,” the report said.